Today’s free printable is all scrambled up. 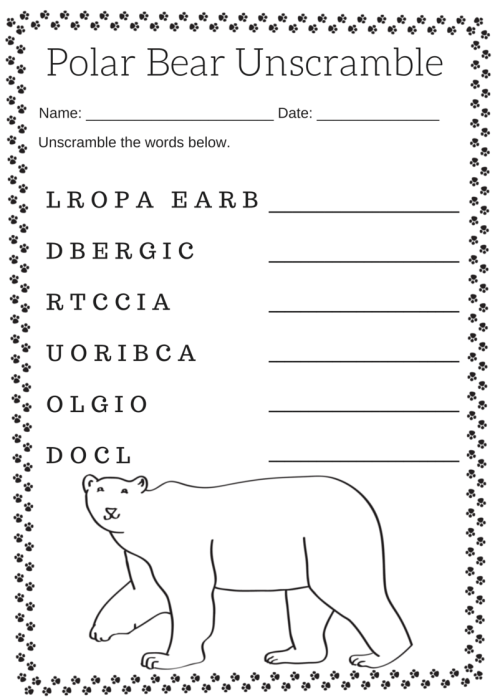 Can the children unscramble these icy cold words? Could there be some animal names in there? Possibly! This is a great boredom buster for those cold or rainy days stuck inside. Click the image to get the full sized file and save or print from there. or download the printer friendly pdf file by clicking the download button. This printer friendly and free to use for any personal, daycare, church, school, or home school use. Suggestions, requests, questions, corrections or comments?